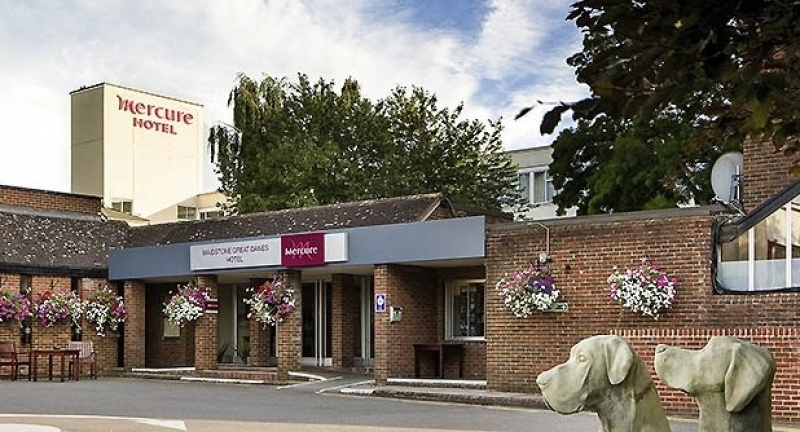 The ICT for Education national conference programme reaches Maidstone on 24 March 2017 at Mercure Maidstone Great Danes & Tunbridge Wells, Jupiter Hotels Limited. Drawing on both regional and national ICT expertise, ICT for Education has sourced a great line-up of speakers who will address ICT challenges faced by both teachers and schools. Alongside the conference, ICT for Education will host a vendor exhibition showcasing solutions to meet your ICT needs. Meet the experts, network with peers, solve practical problems and discover new resources in just one short day - free of charge! Pick up your conference badge(s) from Reception on the day. If you would like to bring colleagues, they can register before the event or on arrival. We look forward to meeting you in Maidstone. Now computing is firmly established as a subject in many schools, there is a great opportunity for pupils to apply their newly acquired programming skills in the context of some of the other subjects they study. Ranging from Monte Carlo methods for estimating π, to composing music with Sonic Pi, Miles will present a quick tour of a few ways pupils can practice programming in meaningful contexts and deepen their knowledge and understanding of other disciplines. Some simple and practical examples of how to build effective learning that moves away from the constraints of the classroom and links learners to a wealth of expertise in order to facilitate conversations that enhance real learning in a real world. A review of how to implement a successful e-learning project making use of iPads. Ronnie will share his hints and tips on how to move away from windows devices used by students as a primary digital device to using iPads. He will include advice on what worked and some of the potential pitfalls. Based on recent research, the Apps for Good team will look at the most in-demand industry skills and how it believes you can help your students fill the skills gap. It will also consider the Apps for Good model as a way of building student resilience, tackling diversity in the technology sector and preparing students for the workplace of tomorrow. An opportunity for delegates to put questions to conference speakers and debate topical issues. Karine George is an experienced consultant and keynote speaker having worked in education for more than 35 years. She was a headteacher for more than 20 years in a large junior school rated as outstanding. She held a number of roles for the local authority and the DfE, including leading headteacher for literacy, headteacher mentor, threshold assessor, primary consultant leader and school improvement partner. She has also represented headteachers as part of the Hampshire executive. As an active research practitioner, Karine is an ardent advocator of technology to support 21st century learning. As a result, she has won a number of awards including Leadership and Vision for the development of ICT, Third Millennium Learning, Parental Engagement and the Martin Bacon Award for School of the Year for developing a whole education. She was selected to work on the Government task force for Home Access and has reported to the department on the use of technology. Karine has written many articles on a range of educational issues. She is also co-author of ‘Sustainable School Transformation: An Inside-Out School Led Approach’, which looks at how the rigour of traditional top-down accountability models can be combined with the engagement and buy-in of school led inside-out approaches. Natalie joined the Apps for Good education team in January 2013. Prior to this, she worked for the London Organising Committee of the Olympic and Paralympic Games as the International Education Programme Coordinator for the education team. In this role, Natalie managed an international school linking programme. She also supported, developed and built relationships with schools that were part of the Get Set network. Natalie is particularly passionate about using education and new initiatives to create an environment that allows young people to be inspired and to achieve. Ronnie is an assistant headteacher at Invicta Grammar School in Maidstone. He is responsible for e-learning across the school and also Year 11. He started his teaching career in 2002, and has since held positions including ICT across the curriculum co-ordinator and head of year for years 11, 12 and 13. Ronnie has recently completed a masters degree in Learning and Teaching at Oxford University, which focussed on e-learning and the effective implementation and use of technology in the classroom. He is regularly involved in delivering staff CPD at Invicta Grammar School and continues to drive forward the use and development of digital technology within the school to help improve teaching and learning. Follow the M20 to Junction 8, follow the signs for Leeds Castle at the first two roundabouts. At the thrid roundabout take the third exit to the hotel.